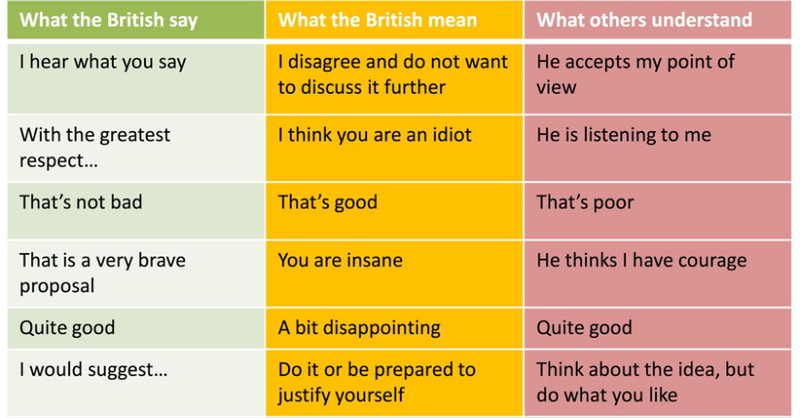 If the vocabulary, pronunciation, and grammar weren’t hard enough, this table sheds light on just how difficult it can be for a foreigner to understand what the British really mean when they’re speaking. A very important lesson not taught at school. 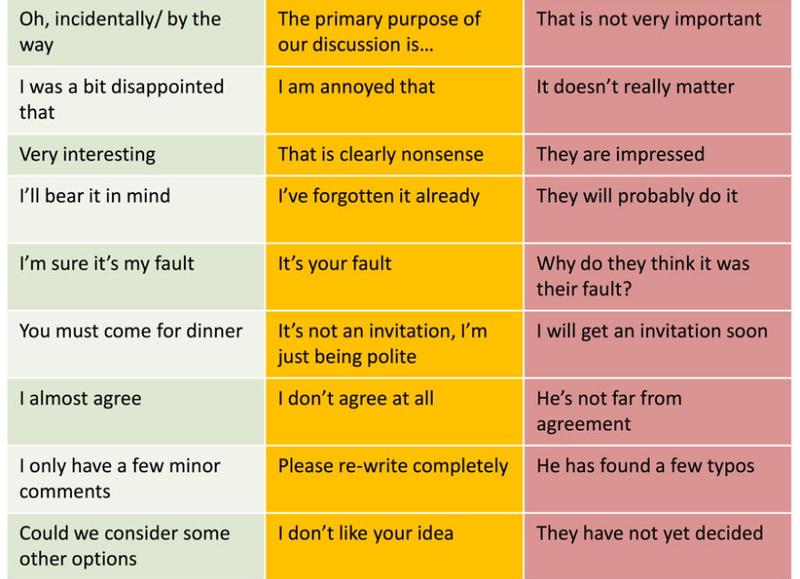 The author of the table is unconfirmed, although it is thought it may have originally been drawn up by a Dutch company as an attempt to help employees working in the UK. Not used as a heartfelt apology, rather it is used to avoid an embarrassing situation. Saying sorry is like a national tic. 17. How do you do? This is a formal greeting and not an invitation for commentary on a person’s quality of life. Don’t take literally and reply truthfully, with a list of ailments. Please provide a rundown of your most recent medical. Not only used when clinking glasses in a pub, but also used instead of “thank you”, and signing off a phone call or an email. How are you, love of my life? 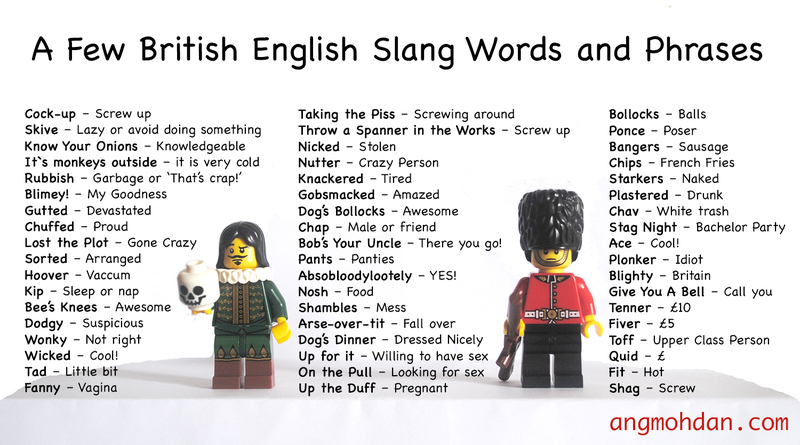 Fairly helpful, I think, and worth a quick read.